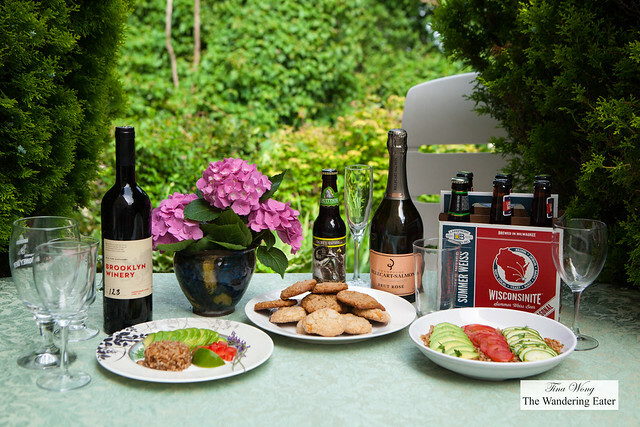 Hope all my fellow American readers had a great and safe Independence Day! I celebrated with my friends and family the U.S.’ freedom with style. 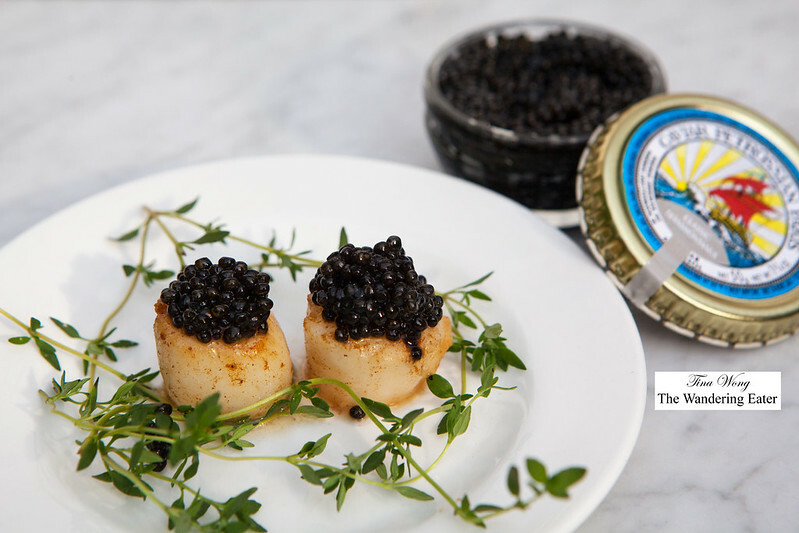 We started off with a luxe note with Petrossian Caviar. Petrossian started in the 1920s by two Armenian brothers – Melkoum and Mouchegh Petrossian – to Parisians. The brand has dominated this luxurious trade and continued to strive for the best of the fresh, high quality caviar produced. 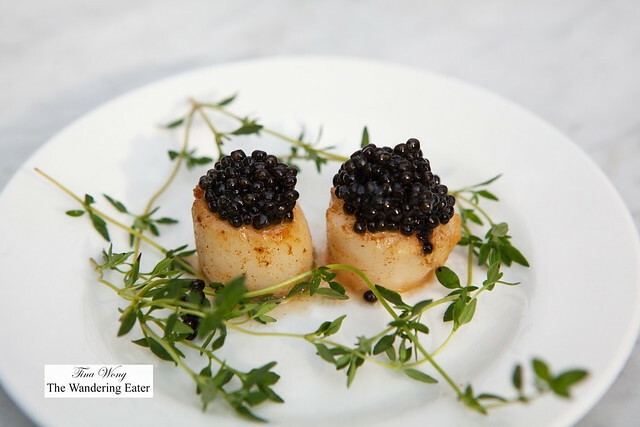 I’ve seared up fresh, large scallops and topped them off with the deliciously nutty Classic Transmontanus Caviar. 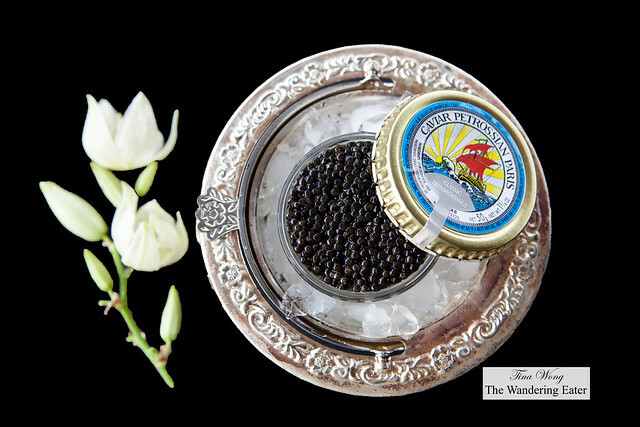 This farm-raised white sturgeon, native to California, produce this elegant caviar that evokes the taste of the finest Ossetra. For a refreshing non-alcoholic beverage, I’ve made batches of Aiya Tea Rooibos Zen Café Blends with blueberries and topped with fresh mint from my garden. 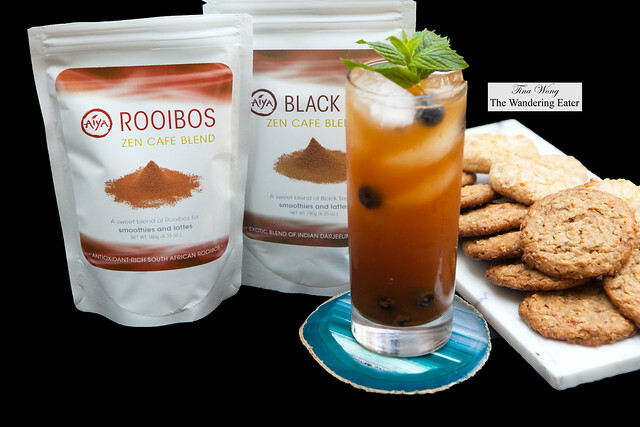 This particular Rooibos tea is lightly sweetened has this vanilla, fruity, red berries flavor. 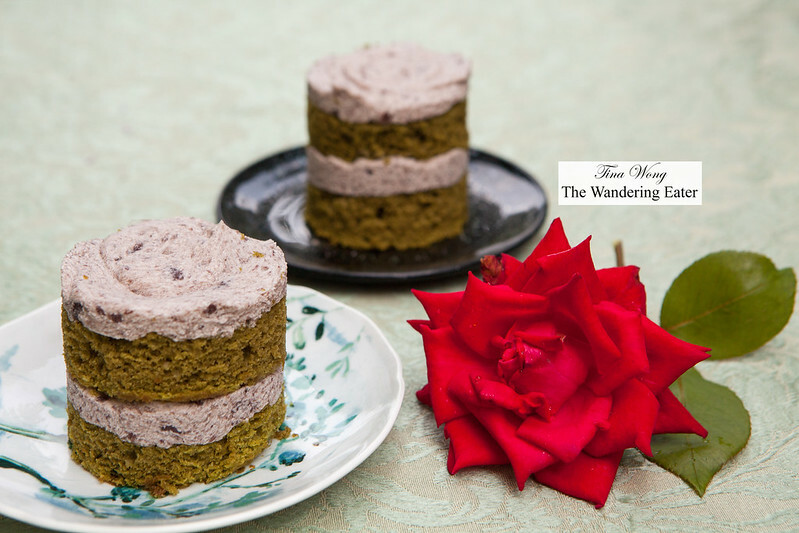 The distinctive sweetness of the blueberries work with tea and the mint gives it a refreshing note. 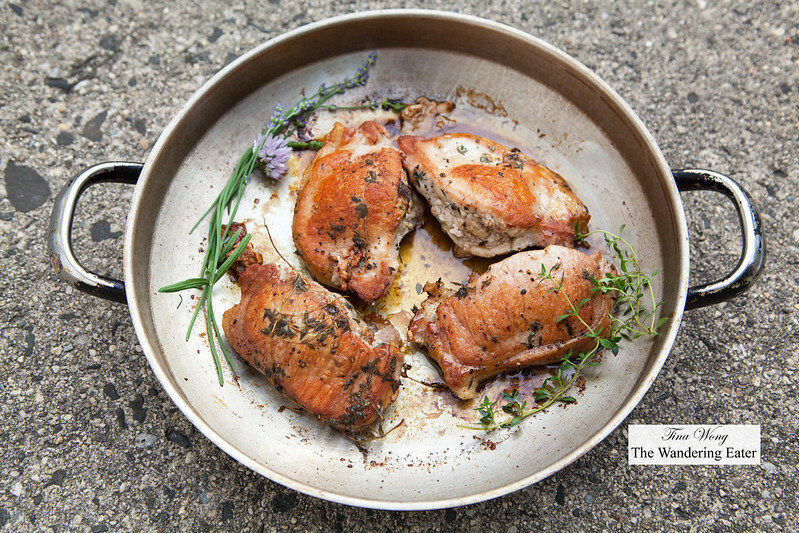 For our main course, we oven roast the Stripling’s General Store sausage stuffed pork chops with a touch of fresh thyme from my garden. What I like about Stripling’s is how fresh their meat is and the thyme just enhanced the pork’s flavor. 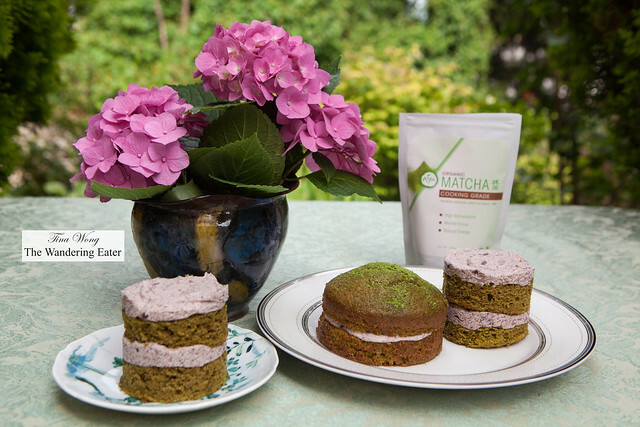 For one of our desserts were homemade mini matcha green tea cakes with adzuki red bean frosting. Knowing my guests love traditional Asian flavors and this can’t get any more classic than this cake. For an 8-inch cake, grease two 8-inch round cake pans and line the bottoms with parchment. 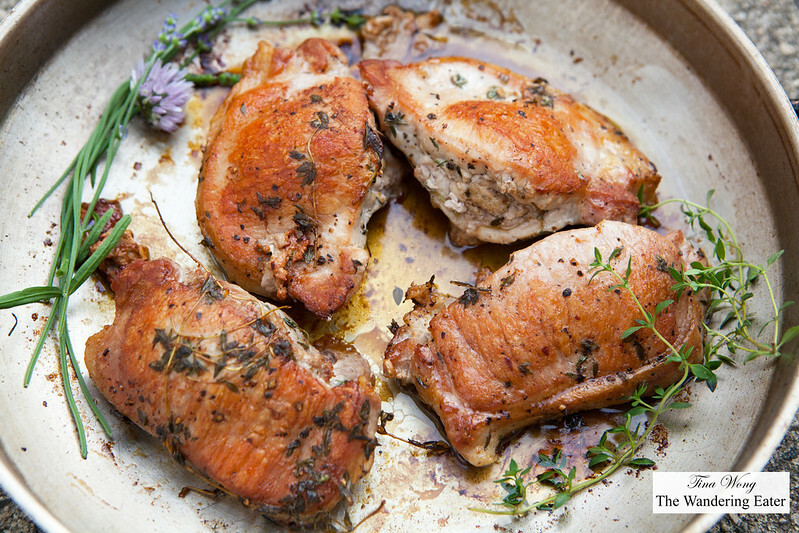 For medium or mini cakes, grease a half sheet pan (18″ x 13″) and line the bottom with parchment. In a large bowl, whisk together all the dry ingredients. In a medium bowl, whisk together all the wet ingredients except for the boiling water. Whisk the wet ingredients into the dry ingredients and then stir in the boiling water. It will be a thin batter. Pour into cake pans and bake until a toothpick inserted into the center comes out clean. Begin checking for doneness at 20 minutes for a sheet pan and 28 minutes for round cakes. If you’re making a standard round cake, let the cakes cool in the pans for 10 minutes, and then turn the cakes onto a lightly greased cooling rack. make your frosting (recipe below) and decorate as desired. If you’re making medium or mini cakes, it is easiest to let the large sheet cake cool fully in the pan. Once it’s cool, wrap it in plastic wrap and then freeze it for about 3 hours or overnight, until firm. Cut out your circles and then decorate as desired. Using an electric mixer, place the butter and red bean paste in a large bowl and cream until it’s light and fluffy. Add the kosher salt and powder sugar into the mixture and start on low speed on the mixer and mix until it’s blended. Frost your cakes as desired. Bring the filtered water to a simmer in a saucepan and remove from heat. Add the rooibos tea and stir until blended. Add the blueberries and lightly mash the berries to release its flavors and juice to the tea. Strain the tea between two glasses filled with ice and garnish with a few fresh blueberries and mint.